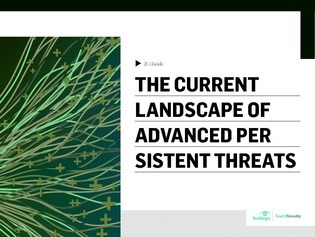 Advanced Persistent Threats (APTs) are some of the most insidious attacks that an enterprise can come under the threat of. Using multiple attack vectors and diversionary tactics, APTs can gut an organization quickly and catastrophically. In this e-guide, discover not only how to talk about these threats within your enterprise, but also uncover what the current landscape looks like in regards to these ever-evolving malicious attacks.